Guido was on a raw food diet when he was living at Pet Epicure so when we adopted him, I thought he might want a taste from home. 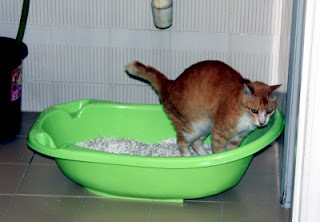 However, Guido ignored the raw food and dove into commercial cat food. As he ate nothing else, I stopped offering raw meat. Then when I was making a steak and mushroom pie some weeks later, Guido pitched up and by shameless begging showed me wanted some steak. He then proceeded to snaffle a large share of the steak so we had a mushroom with some steak pie. Ever since then he's been eating raw steak for breakfast and dinner - with the odd bowl of commercial cat food and lots of dental treats. 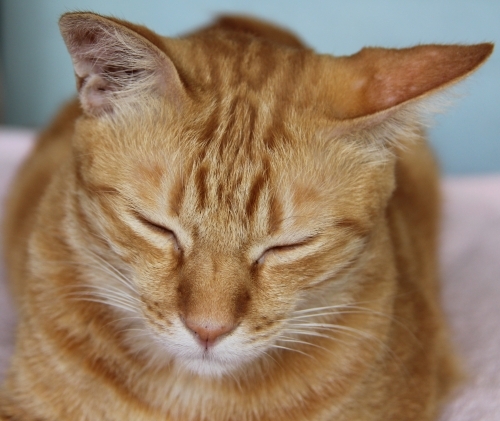 Alicia and the gang at Pet Epicure said that Guido was a scrap of fur and bones when he arrived on their doorstep. They fed him up and when they gave him to me, Guido was a good looking little cat. He's still handsome but he's growing by the hour. This is him now: big, tall, powerful, super shiny and bursting with health and energy. 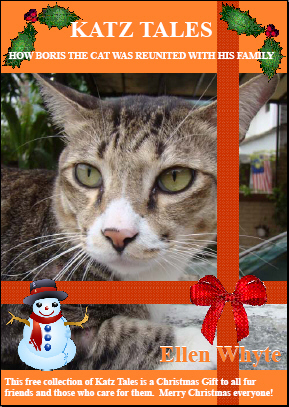 To see him after breakfast, visit our Facebook page. I'm telling you: it's a squeeeeeeeeeeeee moment! And may we boast? 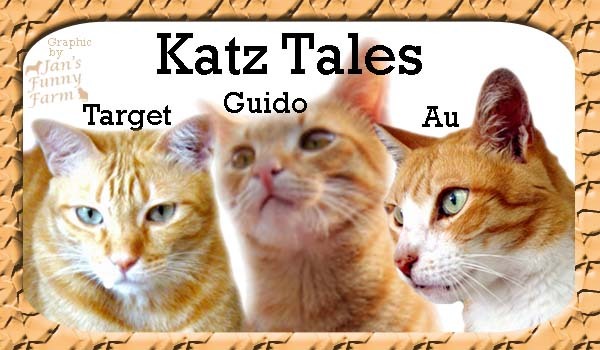 Our book Katz Tales: The Adventures of Scoop and Au are now available from Barnes and Noble!!! 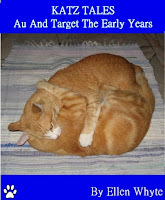 Au has been in a pawsome mood recently. He's eating like a small pig in fur, and he's purring up a storm. Our senior cat woke got me out of bed at 6 this morning, demanding an early breakfast. He ate a whole pouch of cat food, and finished off with a slice of French ham. Now he's in bed, purring and fuzzing happily. As it's still dark and I don't want to disturb him with the flashy thing, here's a pic I took of him last week. We've got a new book out in eformat, and we've made the story of Boris available for all e-readers! 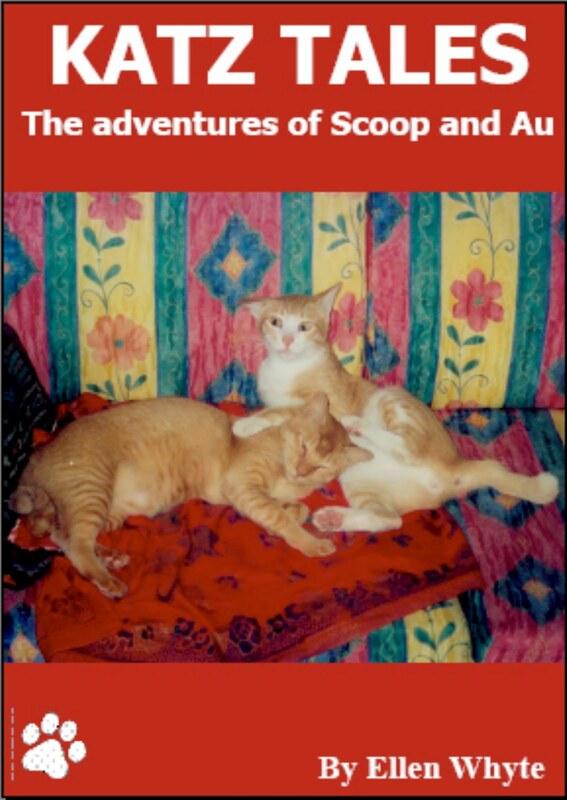 The Adventures Of Scoop and Au is a collection of lighthearted stories that celebrate the antics of the wise yet wily Scoop, and his sturdy and inventive cat companion Au. It includes Sofa Wars, an epic battle between the author and Au, and Your Neighbourhood Nosy Parker that reveals how Scoop keeps tabs on his friends next door.